Joint pain comes with the territory. So does stiffness, swelling, and fatigue. Those well-known symptoms of inflammatory arthritis you expect. Stomach cramps and constipation, however, you may not. But research shows tummy troubles are common among people with inflammatory arthritis: A study published in the Journal of Rheumatology found that rheumatoid arthritis patients have a 70 percent greater chance of developing a gastrointestinal (GI) problem compared to people who don’t have RA. “Pretty miserable reflux” — that’s what how CreakyJoints member described it on Facebook. Another has what she calls “tortuous gastroparesis,” a condition where the stomach muscles that propel food through your digestive tract slow down or stop working, which prevents your stomach from emptying properly. Some CreakyJoints members have been diagnosed with inflammatory bowel diseases such as ulcerative colitis and Crohn’s disease; others with irritable bowel syndrome (IBS) — like Nikki Perkins-Miller who gets from long bouts of diarrhea, followed by severe constipation. First, a brief anatomy lesson: Your GI system has an upper and lower section. The upper GI goes from your mouth to your stomach; the lower GI runs from the start of the small intestine to the end of the large intestine. Studies show that inflammatory arthritis can affect both. 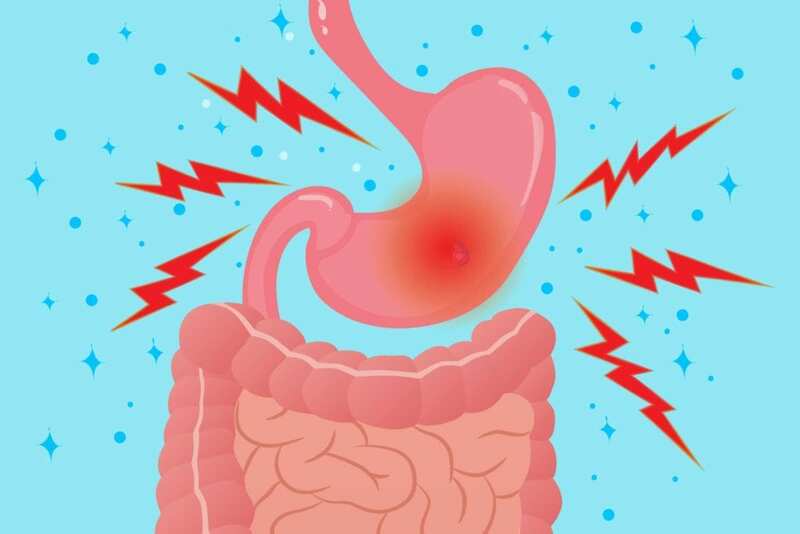 Researchers at the Mayo Clinic found people with RA report higher rates of stomach ulcers, bleeding, and esophagitis (inflammation and swelling of the esophagus) in the upper GI tract, and perforations (holes), bleeding, bowel inflammation, and infections in the lower GI tract. People with inflammatory arthritis also have higher rates of abdominal pain, bloating, trouble swallowing, and nausea. The same chronic inflammation that targets your joints in arthritis may also affect other parts of your body, including your digestive system. Several gastrointestinal conditions that are common in patients with arthritis are directly related to an active inflammatory condition, explains Dana Lukin, MD, gastroenterologist at Weill Cornell Medicine and member of the American College of Gastroenterology. For example, rheumatoid vasculitis — a condition that causes blood vessels to be inflamed and can impact the GI tract — may affect up to 10 percent of patients with RA, he says: “The most frequent symptom is abdominal pain, but RV may also present with weight loss, nausea, vomiting, and/or diarrhea.” Controlling your RA and reducing inflammation can improve symptoms. A depressed immune response from inflammatory arthritis may also play role, as might the everyday stresses of coping with a chronic illness, adds Joseph E. Huffstutter, MD, a rheumatologist with Arthritis Associates PLLC, in Chattanooga, Tennessee. “The stress has to come out in some way,” he says. This may be in the form of an ulcer or bowel issues. Another potential factor: fibromyalgia. This chronic pain condition often occurs with RA, as well as other types of inflammatory arthritis, says Dr. Huffstutter. If you have fibromyalgia, you likely also have IBS — the two often occur together, with symptoms including abdominal pain, bloating, gas, and alternating spasms of diarrhea and constipation. Celiac disease is also associated with RA, says Dr. Lukin. With this digestive disorder, eating gluten leads to damage in the small intestine. 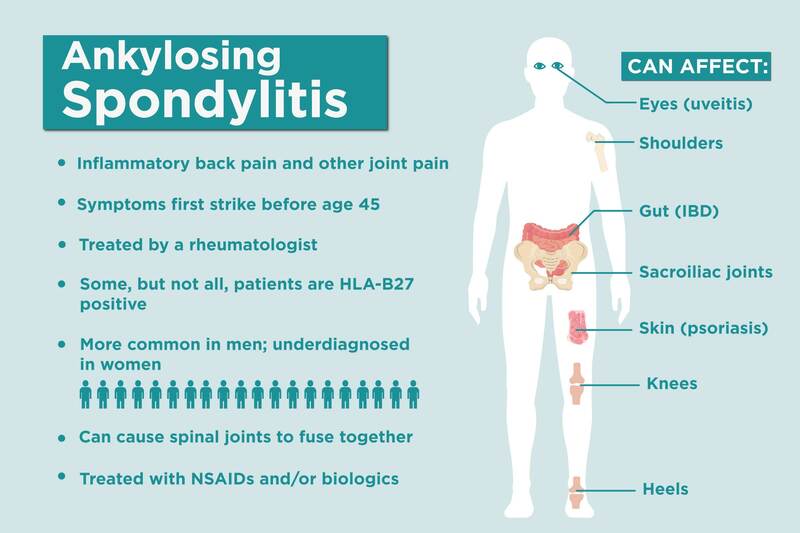 Inflammatory bowel disease (IBD) is also more common in people with RA, as well as in those with ankylosing spondylitis and psoriatic arthritis. IBD is an umbrella term for two conditions — Crohn’s disease and ulcerative colitis — that are characterized by chronic inflammation of the digestive tract, which leads to GI symptoms. Common genetic and environmental factors may be related to the development of both inflammatory arthritis and IBD, says Dr. Lukin. Scientists are also looking into the microbiota of the GI tract, and how it relates to different illnesses, including rheumatologic disorders. Your body hosts communities of harmless bacteria known as the microbiota, which help keep us healthy. When one of these bacterial colonies is altered, or becomes unbalanced, it’s called dysbiosis. “Dysbiosis has been associated with the development of inflammatory arthritis, including RA, spondyloarthritis, and SLE, the most common type of lupus,” says Dr. Lukin. Read more about lupus and gut bacteria here. Yes, GI problems are common side effects for many drug classes used in the treatment of inflammatory arthritis, says Justin Owensby, PharmD, PhD, research pharmacist with the department of clinical immunology and rheumatology at the University of Alabama at Birmingham. In fact, most GI problems in RA patients are related to their medications, says Dr. Huffstutter. “Side effects for RA drugs range from minor, such as nausea, to severe, like GI bleeding. They depend on the specific drug, dose, duration of therapy, and other meds you’re taking,” says Dr. Owensby. Steroids: These meds play an important role in how our digestive tracts work. A hormonal imbalance due to drug therapy is most likely the cause of side effects, says Dr. Owensby. High doses of steroids for prolonged periods may be associated with gastric ulcer, adds Dr. Lukin. They are also linked to GI perforation and pancreatitis. Biologics: Many drugs can cause milder GI issues, such as nausea, diarrhea, or cramps. But some can be associated with serious problems, such as GI bleeding, GI perforations, and bowel obstruction. You and your doctor should discuss all the possible risks and benefits of taking any of these medications as part of your shared decision-making process. Most important: Work with your doctor to keep your arthritis under good control, and report any signs of GI problems to your doctor right away. To help minimize GI side effects, you and your doctor should evaluate how well you are tolerating your drug therapy on a routine basis, says Dr. Owensby. “The use of proton pump inhibitors may help negate some GI problems caused by NSAID therapy, and medications like ondansetron (Zofran) may help relieve nausea and vomiting caused by DMARD therapy,” he says. 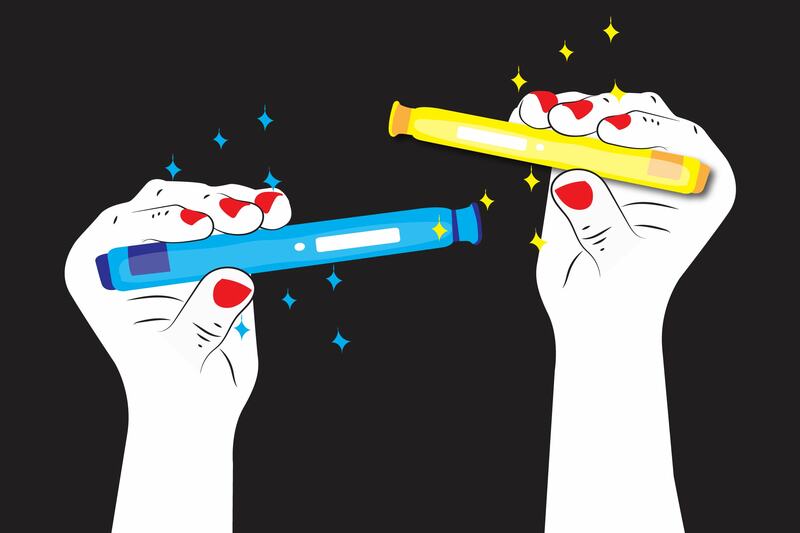 “Adjusting a dose or dosage form, such as switching from a tablet to an injection, may also be an option,” adds Dr. Vanderbleek. And always tell your doctor about any over-the-counter meds, supplements, and vitamins you are taking: “Your doctor needs to know everything you put into your mouth,” says Dr. Huffstutter. As if you need another reason, but here it is anyway. Research shows smoking was associated with lower GI problems in people with RA. Plus, it can make many rheumatologic and GI conditions worse, says Dr. Huffstutter. “A careful diet review may help you identify potential triggers of symptoms,” says Dr. Lukin. If you notice eating certain foods seem to cause diarrhea, bloating, or abdominal pain, for example, tell your doctor; he or she may tell you to avoid that food, says Dr. Huffstutter. That’s what one CreakyJoints member does: “I have full-body spondyloarthritis and as I flared up a couple years ago, I also was getting increasingly bad reflux and gastritis that became more crippling than the arthritis,” shared Anita Marie Poupa. She noticed if she ate inflammatory foods like sugar, processed meats, alcohol, or caffeine, it would trigger reflux. Now she focuses her diet on healthy, natural foods to help ease joint and stomach symptoms.